Colin Porter - (Organist at Mossley Hill Parish Church and a prominent recitalist), (including Liverpool Cathedral and Lancaster Town Hall). "It Runs in the Family", by Ray Cooney. Oliver Shaw - (One of the organists at Allerton URC and formerly St Michael's, Burtonwood). November/December Christmas meal to be arranged. The Sea Scout Group in 2016 marked its centenary. Its roots were with Garston URC at Whitehedge Road until the church closed some years ago, then its members, surviving Beaver Colony, two Cub Packs, and Sea Scout Troop were welcomed into its new home at Allerton URC. * Drake Cub Pack which meets on Friday (6.45pm -8.30pm). * Cubs are aged 8-10.5 years. * The Sea Scout troop meets Friday (7.00pm – 9.45pm) and provides activities for 10.5 – 14 year-olds. The cub packs collectively have 40 members while the Sea Scout Troop currently has 10 aged 10 – 15 led by a team of five adult leaders who together have more than a 100 years experience of scout leadership. A troop of long standing worth, it has been sponsored by the Royal Navy for 45 years and regularly receives glowing reports following inspection by a Lieutenant Commander. The packs and troop enjoy programmes of energetic games and sports together with skill-training in useful subjects such as camp and field crafts including fire-lighting and cooking, first aid, fire prevention, environmental studies, and the sea scouts an introduction to maritime knowledge from small boat handling and water safety, to more advanced knowledge including navigation, rope work, rules of the road, etc. We are a friendly carer and toddler group and we meet every Tuesday morning between 9.30 and 11.30am in the church hall during the school term. There are toys, books, dressing-up costumes & puzzles and we offer a craft activity during most of the sessions. We charge £1 for a carer and up to two children and then there is a small charge of 50p for each extra child. Refreshments of tea and coffee for the adults, and juice and biscuits for the children are included in the price. The children have a party at Christmas with Santa and usually a Teddy Bears' Picnic at the end of the summer term. We welcome all children from birth to four years, so come along to one of the busy sessions and find out more. and follow the links to the section headed “Information for Parents”. Thank you. 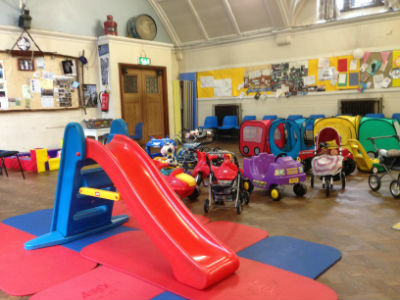 We are a friendly carer and toddler group and we meet every Wednesday afternoon between 1.30 and 3:00 pm in the church hall during the school term. There are toys, books, dressing-up costumes & puzzles and we offer singing and a craft activity during most of the sessions. We charge £1 for a carer and up to two children and then there is a small charge of 50 pence for each extra child. Refreshments of tea and coffee for the adults, and juice and biscuits for the children are included in the price. The children have a party at Christmas with Santa and usually a Teddy Bears' Picnic at the end of the summer term. We welcome all children from birth to four years, so come along to one of the busy sessions and find out more.